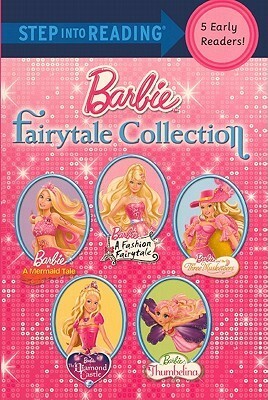 Barbie Fairytale Collection is a book with five separate stories in it. Each recaps one of the Barbie movies, which, incidentally, M hasn't actually watched. But she likes the stories. The stories are Barbie in a Mermaid Tale, Barbie: A Fashion Fairytale, Barbie and the Three Musketeers, Barbie: Thumbelina, and Barbie and the Diamond Castle. I am not personally crazy about the stories, but M likes them. We generally read alternate pages and she's able to read most of the stories. But I will say that the stories seem to have way too many names in them, which are tough to read. Barbie Loves Ballet/Fashion Show Fun is a paperback book that includes two separate stories. There are stickers in between the two stories. The ballet story is about Kelly, Barbie's little sister, being nervous about her ballet recital. But Barbie helps her practice so she's ready and doesn't have anything to be nervous about. The fashion show story is about Kelly wanting to put on a backyard fashion show with her friends. Both are cute stories, and M really likes them. We still read these to M, but I think she could read most of the words by now. 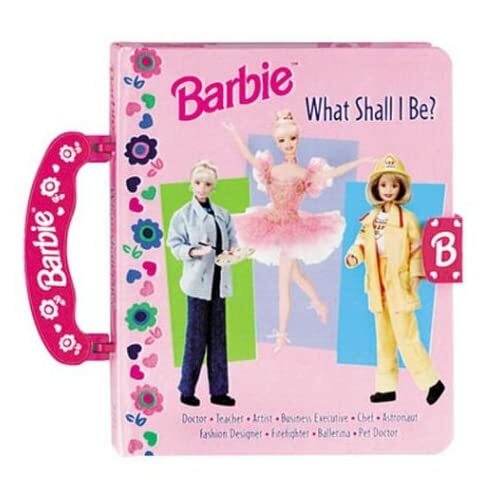 Barbie What Shall I Be? 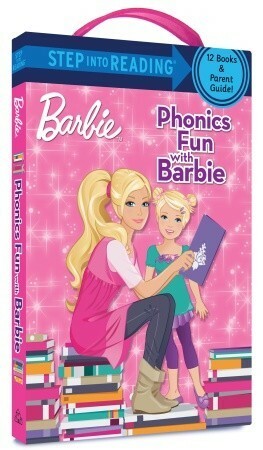 is the first Barbie book we ever got. It's actually a board book with a handle, but M still loves it. Each two-page spread talks about Barbie in a specific profession. It includes everything from doctor and astronaut, to teacher and chef, to firefighter and ballerina. I like that it has so many different choices. M likes it because there is a seek-and-find aspect on each page. It is written at a higher level so we still read this one to her. Ha! I went through the Thomas books when my son was little, although his real obsession was tractors and farm books!